Basically now I have one set of code for both Chrome and Firefoxes. I don’t need to do ANY modification before I submit it to the two markets. I just started using Simple Gmail Notes last week. 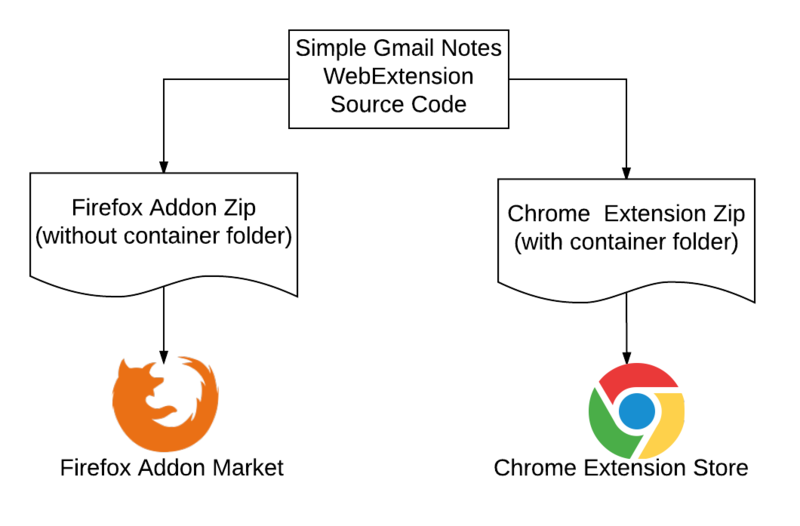 I started using it as a Virtual Assistant because my new client had a system with his old VA of using this extension to communicate between themselves on email threads by updating notes on email threads from his gmail inbox. He delegated his inbox to his old VA. They were logged into Simple Gmail Notes with their own separate Gmail logins/passwords. Somehow my new client and his old VA could see each other’s notes on the same email thread, entered with different simple gmail notes accounts in the same delegated inbox. However, my client is not seeing the notes I am entering and I am not seeing the notes he is entering with the same system. I have contact with the old VA and I thought I solved this problem but it persists. 1. me never logging into gmail notes when my client sent the first notes to me (I had the extension installed, but forgot to log in and he had started entering notes to me) or 2. me using the extension from both my inbox and my client’s delegated inbox (logged in with my same gmail login id/password) or 3. me forwarding emails from the delegated inbox to my own inbox. After reading some of your blog posts I am now wondering if we are using different versions of the extension. Could it be because my client is using an old version of Simple Gmail notes and I am using a newer version since I just installed it? I think we are both using Chrome. I do not think he is using the Firefox extension. Was Simple Gmail Notes even intended for back and forth communication between 2 or more people or is it better suited for personal notes to self? The problem is confirmed to be solved in email. But I still put down the comment here so it might help others in future. In general, if a group of people would like to SHARE the notes for the email conversations, they need to connect to the SAME google drive account when logging into Simple Gmail Notes.